When it comes to choosing quality grass mats for your project, the number of different brands, suppliers and optional extras can be a little overwhelming. So the team here at PlaySmart UK is very pleased to announce a great piece of free content to help inform your decision. 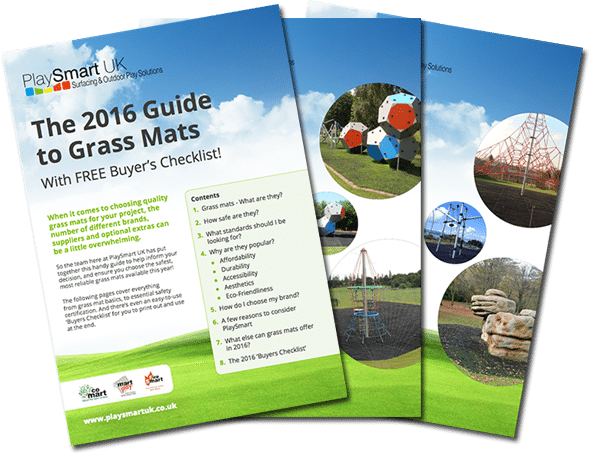 Our comprehensive ‘2016 Guide to Grass Mats’ covers everything from grass mat basics, to essential safety certification. And there’s even an easy-to-use ‘Buyers Checklist’ for you to print out and use at the end. We’re confident it’ll help you choose the safest, most reliable grass mats available on the market this year!